Aisha's Hair Salon's Ribbon Cutting! Name: Aisha's Hair Salon's Ribbon Cutting! 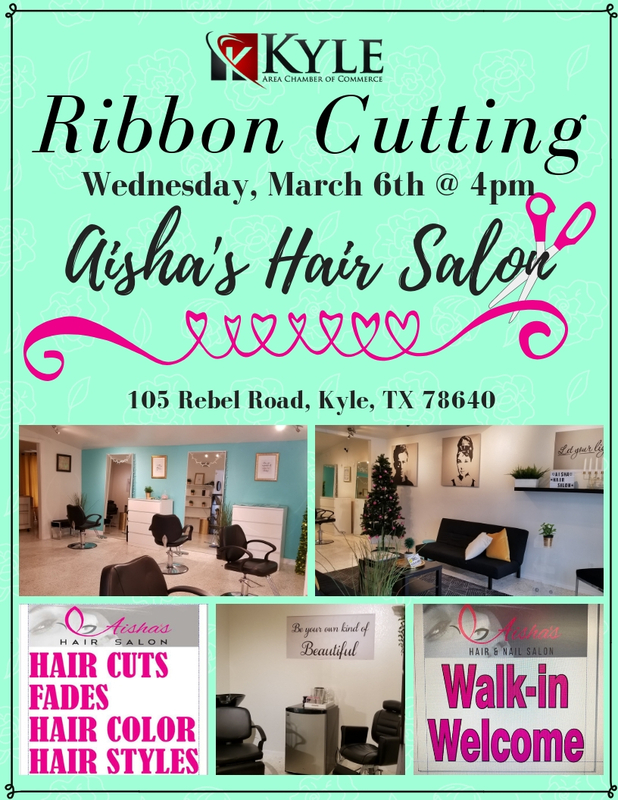 Join us to celebrate Aisha's Hair Studio's ribbon cutting! March 6th, 2019 at 4pm.